WEARING: Hellen Tank Top, Sir The Label Skirt, Celine Sunglasses, Adidas, Mackage Bag & Breda Watch. The colour black is the key of every good wardrobe. It's the one colour you can count on for any outfit and something easy to rely on, when you are busy and "have nothing to wear". All black outfits, always look fresh; it may be the same outfit that you have worn 3 days in a row but no one questions your decision because it may just be a different black top or denim. There is no doubt that black is my-go-to colour when putting outfits together, it can look casual with basics or be complex and look very stylish. Yeah I am guilty, all-black-everything is my solution to all outfit issues, my first, second and also my backup plan. Pair it with sneakers, sunnies and a cool bag, you're ready to take on the day. If you want to look sleek switch the sneakers for a more refined pair of shoes, a leather jacket and voila you are ready for a night out. PS. 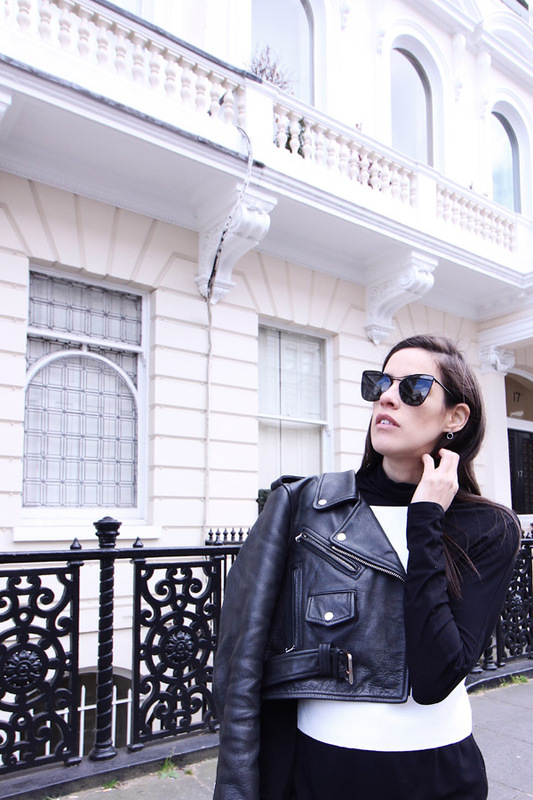 I am obsessed with my new Celine sunglasses, I totally recommend them! Beautiful total black! Love the skirt detail! my favourite color will always be grey but these days i've grown abnormal fondness of black as well. dressing all black gives me this indie feeling no other color combination (Except maybe all greys) gives me! love your figure and how you rock the all black look!